Find out how our College compares across a range of educational performance indicators. Key Information for Students data is compiled from data published or provided by tertiary education organisations, Tertiary Education Commission (TEC) and the Ministry of Education. All information in the Key Information for Students relates to domestic students only. Any enquiries about fees or other information for international students should be made directly to our College. The Tertiary Education Commission (TEC) publish information on the performance of tertiary education organisations based on agreed educational performance indicators. This report provides the 2017 rates for the educational performance indicators for New Zealand College of Chiropractic. This report provides the 2016 rates for the educational performance indicators for New Zealand College of Chiropractic. The New Zealand Qualifications Authority (NZQA) publish information on the educational performance and capability in self-assessment of Tertiary Education Organisations. NZQA external evaluation and review of the New Zealand College of Chiropractic. 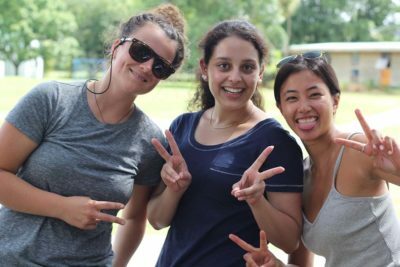 A compulsory student services fee (CSSF) was introduced in 2014 for all New Zealand College of Chiropractic (NZCC) students at a set annual fee of $250 inclusive of GST for all students. Students who are enrolled in one course in any one semester in an academic year pay a discounted rate of $125. Students enrolled in the Chiropractic Supplementary Course as their only course enrolment are exempt from the CSSF. 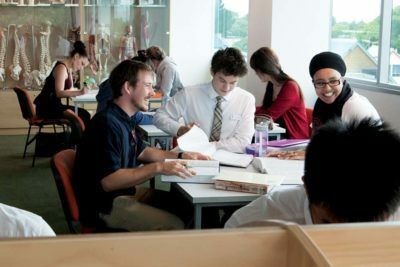 The NZCC offers many programmes and services to students that fall within the categories that can be supported by a compulsory student services fee as defined by the Ministry of Education. Majority of the services are funded by the NZCC through facilities, salaries and staff resources however some are directly funded by the CSSF. 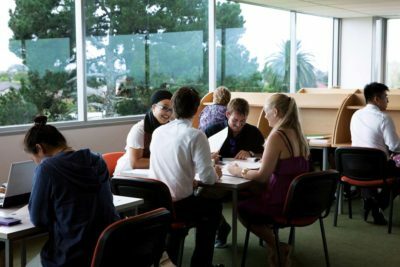 The NZCC provides students with independent support to resolve problems. As part of the memorandum of understanding between the New Zealand Chiropractic Board, New Zealand Chiropractors’ Association and the NZCC, advocacy and issue management is addressed through MOU meetings. For example, the NZCA is assisting students and chiropractors with employment and contract advice. Annually at Lyceum, the NZCC hosts a career fair inviting Chiropractors and 4th year students. Hosted on Friday evening before Friday Night Live, students come along to a ‘speed dating’ careers event and have time to meet with each Chiropractor. Meetings are held with students before the career fair to help them prepare. The NZCC contracts with counsellors who assist students in acute need with private, confidential and independent support. Also, we have faculty who are available as mentors and provide counselling services for students who need additional support. The NZCC also offers soft skill development throughout the year including managing exam stress, study skills, leadership and mentorship. The NZCSA assists students facing hardship with funds via loans and financial support. The NZCC offers various scholarships and awards outlined in the Student Handbook. The NZCC regularly supports students by encouraging all students to be under care in the Chiropractic Centre as well as providing information about health professionals in the local area to which students can be referred. The NZCC supports student clubs. They are run by student presidents and supported by faculty and staff. The clubs represent an excellent opportunity to support learning. Special time is allocated in the academic calendar and clubs are also supported by facilities and reception staff. A list of clubs is available on the College website and also include clubs that promote wellbeing such as Chirofit and Mindfulness. 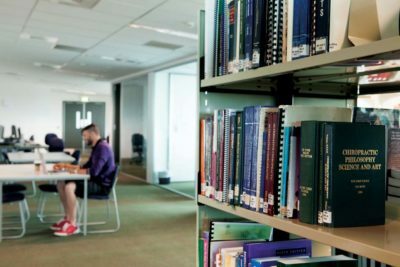 Students are provided with a personal email address and have access to technology in the library and the chiropractic centre including the NZCC-wide WiFi. Students are also provided Office 365 which includes Word, Excel and PowerPoint. Facebook Connection is a closed Facebook group and acts as the College message board. Student resources are available on a student drive available 24×7. The College has moved to a digital x-ray system, and students can manage patient x-rays via the online x-ray system. Student newsletters, posters and social media activity are actively managed to ensure students are kept up to date. The Gold Lounge and gym is a dedicated space for students to relax, study and exercise. The gym is run by a student president under the club framework and is also supported by a staff member. Also, the NZCC supports students interested in sport by sponsoring sports teams such as hockey, soccer and softball. The College offers an on-campus café that offers organic, healthy choices and is partially subsidised by the College. Students are also heavily subsidised to attend New Zealand’s annual chiropractic conference, Lyceum. The NZCC entered into a collaborative agreement with the New Zealand Chiropractic Students’ Association (NZCSA) and signed a delegated authority officially recognising the NZCSA as the student voice representing students in 2013. Each year, the NZCC meet with representatives from the NZCSA executive to determine how funds are allocated. Students are members of the NZCSA, and the NZCSA consults with their members to determine areas of need. Refer to the specific annual reports for a description of the what programmes the CSSF funds. 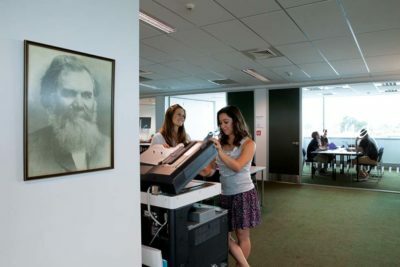 The NZCSA office is in the student lounge, and contact details for the NZCSA executive are available in the student diary, the student portal, the NZCSA student Facebook page and in various newsletters. Each October, the College runs a college-wide student survey. A total of 210 students completed the 2018 survey representing 75% of the student body. The Stakeholders Advisory Committee (SAC) advises the New Zealand College of Chiropractic. As part of its advisory role, it conducts a triannual survey of the chiropractic profession in New Zealand. Stakeholders Advisory Committee Survey of the New Zealand Chiropractic Profession: Analysis of Survey Data.